The process for choosing a tennis racquet depends on your player skill level. Beginner tennis players might look for a good all around racquet that can help them develop their stroke. Intermediate players choose racquets more to help them win games, primarily by choosing a tennis racquet that plays to their strengths. Advanced players on the other hand, have the most freedom. These are tennis players who play competitively and have been playing competitively for years. They know their playing style and they know how to win tennis games. These are players who look for a racquet specifically tailored to their playing style and their unique strengths and weaknesses. 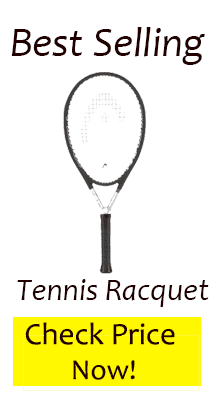 This is a list of tennis racquets for advanced players. 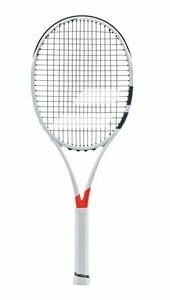 If you’re looking for a new tennis racquet, take a look at this list for some of my ideas on the best advanced tennis racquets. Not for the faint of heart, the Wilson Pro Staff makes itself known through it’s weight from the second you hold it in your hands. This racquet has a strung weight of 12.5 ounces and you can certainly feel every part of it. The benefit of this is the massive amount of power and spin you can generate from this racquet when you swing. The Pro Staff RF97 is an astounding 12 points head light placing the majority of that 12.5 ounces right in your hand. If you like swinging with a heavy racquet, you’ll love the Pro Staff. Serving is an absolute dream with this. From tossing up the ball to smashing through it, the Pro Staff delivered solid serves with less effort than I was used to. You don’t have to have a very fast swing speed with this racquet. The weight and mass of it more than make up to generate the neccesary power. As a word of caution, I would not recommend this racquet to any player who has joint issues or has had tennis elbow in the past. The weight and stiffness of this racquet tend to aggravate already existing joint injuries if your form is not absolutely perfect. If, however, you love hitting powerful shots from the baseline and attempting to serve over 100 mph, pick up the Pro Staff RF97 today. It won’t disappoint. Wielded by none other than Rafael Nadal, the Babolat Pure Aero VS Tour racquet speaks for itself. 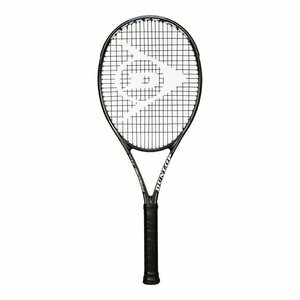 The specially molded Aeromodular throat gives this racquet one of the fastest swings of any racquet on the market today. On the court, you can feel it. From setting up your shot to follow through, players can easily smash shots with this lightweight racquet. This Pure Aero racquet is particularly rewarding to players who consistently hit with the racquet sweet spot. By swinging through the tennis ball at the sweet spot, this racquet rewards aggressive players with a great mix of power and spin. The drawback to this is the penalty for hitting off center shots. Off center shots will rock the racquet and transfer some vibration back to your elbow and arm. Where the Pure Aero Tour racquet really shines through is in the stability and precision this Babolat racquet offers advanced players. When you hit a shot right, this racquet amplifies it immensely. This power is combined with the immense amount of control and spin this racquet offers. This is definitely a tennis racquet to try out for intermediate to advanced players. One of the best racquets for all court versatility, the Babolat Pure Strike 98 is the Swiss army knife of tennis racquets for advanced players. 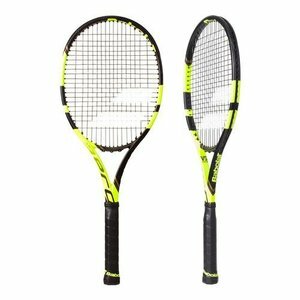 Babolat created the 2017 Babolat Pure Strike after listening to player’s opinions on the original. Babolat enlarged the beam in strategic locations to improve the balance of the racquet during off center hits. Previously, an off-center hit would take the entire racket out of your hands. Now, it might not be your best shot, but you won’t lose your grip on your racquet because of it. Babolat also widened the string spacing on the crosses to provide players with more spin and pop off of the racquet. On the court, the Pure Strike feels light and lively in your hands. As you swing, the racquet frame moves quickly through the air and produces power and spin easily. This Pure Strike is best for baseline players who love to hit powerful shots. However, should you feel the need to attack the net, the stiff frame provides plenty of heft for punching through volleys and winning the rally. 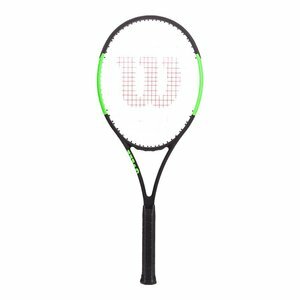 Overall the new and improved version of the Babolat Pure Strike provides players with enhanced control and an all court playing feel. 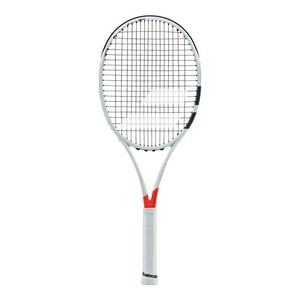 Players at the top of the game should easily look towards this racquet as the perfect racquet for their playing style. While the heaviest in the Precision Series, the Dunlop Precision 98 Tour excels at it’s namesake: precision. This is a racquet built for control and precise shots. If you prefer to make your opponents run with great shot placement instead of winning with pure power, this is the control-heavy tennis racquet for you. With a head size of 98 sq inches and weighing in at 11.6 oz, this racquet provides enough space for advanced tennis players to place the ball exactly where they want and enough mass to put some power behind it. The Dunlop Precision racquet is balanced at 7 points head light which puts all of the control for the racquet right in your hand. Another feature that adds to the accuracy and control of this racquet is the 18 x 20 closed string pattern. This dense pattern means more strings touch the ball at any one time allowing you to place it exactly where you want. Additionally, the looser string tension opens up the sweet spot and provides some forgiveness for off-center hit. There isn’t a lot of mass towards the top of the frame which makes it easier for you to place your shots and promotes the use of slices and lots of spin. If you love slicing, drop shots, or excel at placing accurate shots, the Dunlop Precision 98 will help you be more accurate and keep your opponents running across your court. Used by Serena Williams, the Wilson Blade Countervail has been described by testers as “an American muscle car” of tennis racquets. Watch out for bombs, the Blade Countervail is absolutely the best heavy hitting tennis racquet available right now. Feeling this racquet in your hands, you can tell it’s built for power. The Countervail frame is made out of carbon fiber specifically to dampen vibrations on your power strokes. Uniquely, the Wilson Blade Countervail comes in at 28 inches of length compared to the traditional 27 inches. Weighing 11.5 oz, this racquet definitely has enough mass behind it to be a heavy hitter. I was overjoyed while testing this racquet. I’ve always been an aggressive power-heavy player and within minutes of having the Wilson Blade Countervail in my hand, I was blasting shots from the baseline. The combination of the large hitting area, pro-level swing weight (342), and extra length all contributed to immense power in my baseline shots and serves. 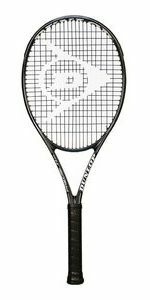 Made solid by the Countervail carbon fiber frame and mass, this racquet also excelled at net. If you’re a heavy hitting player looking to move up to the next level, you’re going to need the Wilson Blade Countervail. 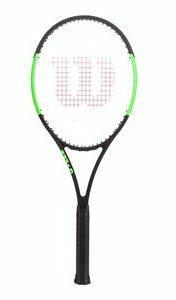 This is truly one of the best tennis racquets for advanced players looking to dominate at the baseline and win straight off of the serve. As a reviewer stated, “this frame is made for walloping”.